Children with good oral language tend to learn to read and spell more easily. No surprises there. But what can teachers do to develop oral language in the early years classroom? The 2011 Oral Language Supporting Early Literacy Study (OLSEL study) indicated that teachers can do a lot. Teachers in the research schools in the study were given training in how to help children with vocabulary, sentence structure and stories as well as awareness of sounds in words. 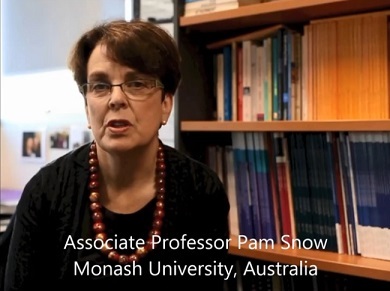 One of my professional heroes is Pam Snow, a researcher at Monash University who started off as a Speech Pathologist (and supervised me as a fourth-year student), then became a Psychologist and then an academic. Here's a five-minute video from the RALLI campaign on YouTube, in which Pam explains the OLSEL study. If you want to read more about the OLSEL study, or access resources used or developed during the project, click here. The OLSEL website also includes lots of information and links for parents wanting to help young children get off to a flying start with early language and literacy. Highly recommended. This entry was posted in curricula, research, teaching strategies, theory on February 7, 2014 by alison.